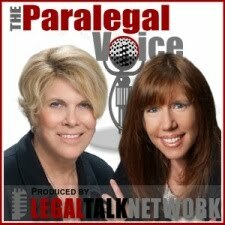 The latest edition of The Paralegal Voice, “Spotlight on William P. Statsky: A True Expert on Paralegals” co-hosted by Lynne DeVenny and me, is now available at Legal Talk Network. We welcome William “Bill” Statsky, one of the foremost experts on paralegals in the country and the author of numerous paralegal and legal writing textbooks. Bill talks about the importance of a paralegal’s writing skills, legal research, technology today, blogging and the future of the paralegal profession. The Paralegal Voice also thanks its sponsors: Westlaw Deposition Services and the National Association of Legal Assistants.